There are only 25 official Heritage Competition horse shows in the US. This week’s Fairfield County Hunt Club benefit is one of them. The designation is reserved for long-established competitions that have also made substantial contributions toward the sport, while raising money for charity. Over 700 international riders participate, at the 97-year-old Hunt Club on Long Lots Road. It’s a big deal. But despite the elite-sounding name — and of horse shows in general — this one welcomes all of us riff-raff as spectators. Even better: It’s family-friendly. And free! 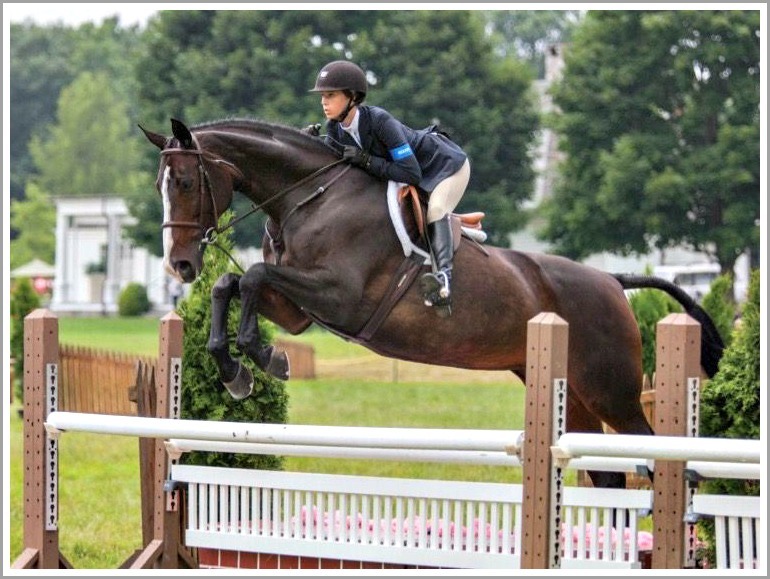 The show — a fundraiser for the Equus Foundation, a Westport-based national non-profit that protects horses while fostering horse-human bonds — begins at 8 a.m. every day this week, and Saturday. There’s action on 3 rings, simultaneously. The 2 biggest events are the Welcome Stake (Thursday, June 21, 4 p.m.) and Grand Prix (Saturday, June 23, 1:30 p.m.). During judging, the rider and horse should appear relaxed. The riding should seem effortless. Riders may be faulted or eliminated for knocking down any part of a jump, exceeding the time limit, “poor presentation of horse or rider,” bucking, stopping in front of a fence, going off course or jumping in the wrong order. Those are the basics. To learn more, just trot on down to the Hunt Club. This entry was posted in Organizations, Sports and tagged Equus Foundation, Fairfield County Hunt Club. Bookmark the permalink.